Mini-pineapple slices in light syrup in tin 4/4 (30 to 33 slices per can). 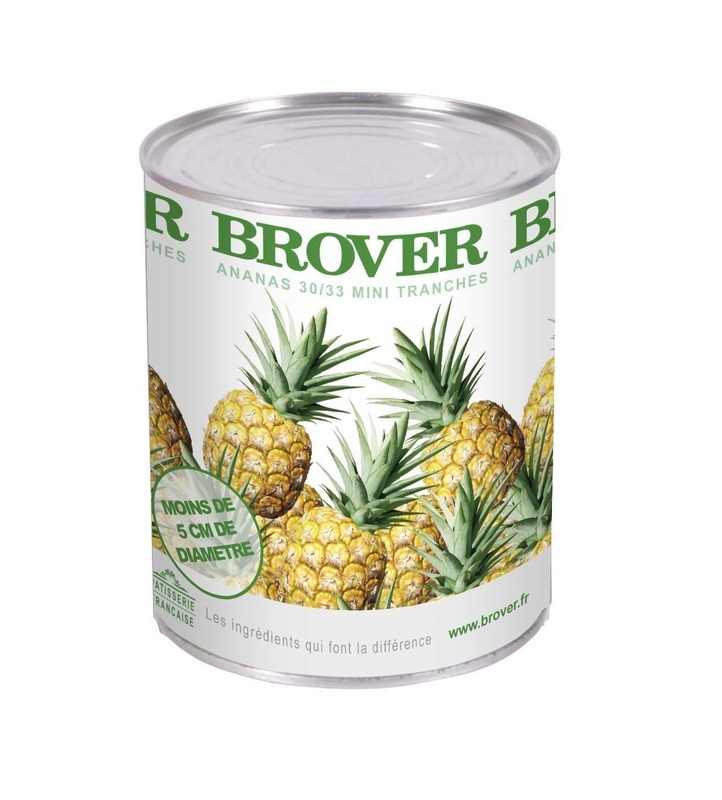 Specialized in fruit since 1948, Brover delivers high quality Mediterranean fruits in syrup and fruit fillings for the baking industry. 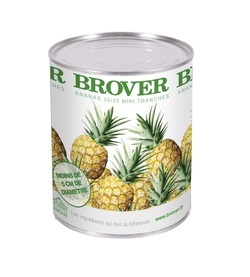 Brover’s fruits are delicious by themselves; they might as well be used by pastry chefs to make delectable treats such as pies, cakes or turnovers. 3 years after the date of production.